Last night, Ebert & Roeper did an early review of the new Batman movie, Batman Begins, starring the always hot Christian Bale and the highest quality supporting cast of any comic book movie: Michael Caine, Liam Neeson, Morgan Freeman, Gary Oldman (my favorite actor), Ken Watanabe, Cillian Murphy, Tom Wilkinson and Katie Holmes. Not only did Ebert give it his first thumbs-up for any Batman movie, but he and Roepert couldn't stop gushing about how great it was and how this is the only Batman movie so far to "get it right." There's apparently an engaging plot, good acting, believable bad guys with actually scary evil schemes and no cheesy comedy. Roeper says it's the "best Batman movie ever by far," and since I actually like the Batman movies (except for Batman & Robin of course), I'm pretty darn excited. I'm so going to be there when it comes out on Wednesday, June 15. Who's with me? You didn't even mention that it was directed by Christopher Nolan (Memento) -- the real reason why it will be good. What, you got a problem with Batman and Robin sky-surfing down from outer space? Or Mr. Freeze? There's snow way this cast could be better than that of the fourth movie. Ice simply cannot believe you'd be so cold to Arnold. Get it? He's Mr. Freeze! Oh, chill out, Kristina. Yeah, the ice puns were a little much for me, but I think my real objections were to 1) the excessive use of fluorescent colors/blacklights, 2) totally silly/ridiculous action sequences that look like they were shot on a stage and 3) Alicia Silverstone. Uma Thurman is the only saving grace in that movie but she's not in it enough to make it passable. Also, I have always hated George Clooney and I always will. He's ugly and old and has one of the blandest deliveries ever. Saw it last night. Two thumbs WAY up! The best Batman movie yet!! A complete retelling of the legend that's interesting and believable; gives more insight into the character of Bruce Wayne and how/why he becomes Batman. Villains are believable and genuinely menacing, great supporting cast with good acting, some funny moments, cool but believable mis-en-scene... and Christian Bale is HOT. I'll go see it again if anyone's looking for a movie buddy. This movie was really great. The only thing I would've changed is putting more mid-range shots in the fight sequences so that you could see the choreography better (I liked the jiu-jitsu but there could always be more). Christopher Nolan hits it out of the park with this one. Finally some good directing and believable emotions on-screen coupled with solid acting and writing. Sure, Bruce Wayne kisses the girl in the end but they've actually been through real adversity so it actually makes sense that it would happen...it's not just some coke binge inspired formula movie, where every character is zero or one-dimensional and you can predict what's going to happen hours in advance yet you still feel like nothing makes sense. Batman Begins makes the latest Star Wars movie look irrelevant in any artistically meaningful way. I think out of all the Batman movies, Batman Begins is the best. In all the other batman movies the villians seemed to nice or non-serious. The others just didn't have you covering your eyes like the whole Scarecrow thing in this one. In this movie you could picture the comics and a little of the cartoon. The last 2 were too high-tech. And in "Batman & Robin" you had too many people. 3 heros and 3 villians, come on. I think the first to batman movies (starring: Michael Keaton) had excellent backgrounds, similiar to Batman Begins. They should have just gave Val Kilmer the role for the movies "Batman" and "Batman Returns", and left it at two films. Then picked up at Batman Begins. Perfect two (Batman, Batman Returns), great settings, and a prequel (Batman Begins) to pick it up. 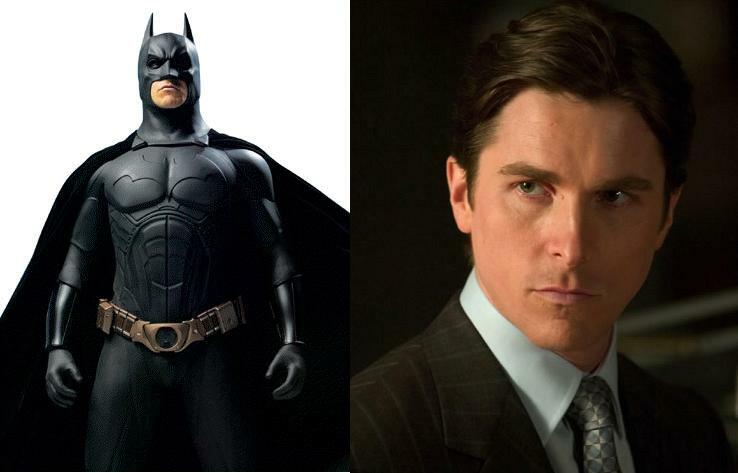 Val Kilmer is similiar to Chrstian Bale considering their serious attitudes. Another thing, the batmobile was odd looking but rocked the movie. Things looked more real for Batman Begins and I gave it 2 thumbs up. Can't wait for the dvd and the sequel to come out. The Joker is said to appear next. This time I want a Joker-sized actor instead of a chubby Jack Nicholson. So bring The Bat back soon!!!!! !